Let's explore Barbados one parish at a time with our range of well-maintained vehicles. Whether you cruise in Luxury, or prefer a versatile SUV, Voyager provides the perfect island experience. GL Rentals extends warmest greetings and welcomes you to our shores! Hire an air-conditioned car or jeep from GL Rentals. New vehicles, great rates & full insurance coverage available. Tour the island at your pace with a car from Courtesy Rent-A-Car. We offer all the services you would expect from a leader in the car rental business. Across the island, Barbados has an excellent selection of accommodation. 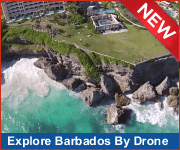 Explore the eleven parishes of Barbados, discover their attractions and secret treasures! This map gives a detailed view of the island. 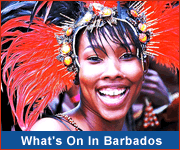 You can also pick up FREE Barbados maps at hotels and attractions across the island. This town, located on the south coast, is home to the Oistins fish fry the most popular attraction in Barbados! The capital city of Barbados, Bridgetown is well worth a visit for its duty free shopping and historic buildings! The most popular spot on the south coast, "The Gap" is renowned for its nightlife, restaurants and activities. 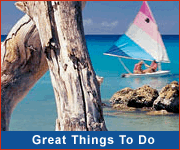 Located on the west coast, Holetown offers a wide array of restaurants, exciting nightlife, and excellent shopping. In the north of the island this is a quaint seaside town that is fun to explore!